Much of the information contained in this forwarded email about the spay/neuter fund bill is speculative–not fact. 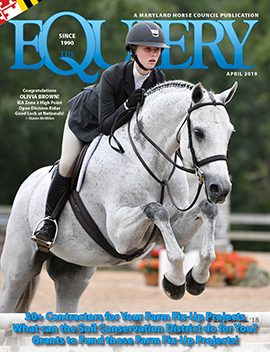 It was forwarded to Maryland foxhunters in the hopes of goading Maryland foxhunters to do something about the bill…but we at The Equiery want our readers and our Maryland foxhunters to be armed with the facts, not speculation and innuendo, before kicking into action. As we reported earlier on equiery.com and in the March print edition of The Equiery, Maryland HB 767 & SB 82 would establish a Spay/Neuter Fund for cats and dogs. The lobbying organization for Maryland foxhunters (MAWC) has been monitoring this bill. 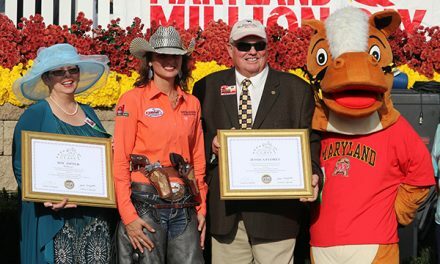 The Maryland Horse Council has been active on this bill to help amend some of the language regarding the funding mechanism (originally, the bill required a fee be attached to all animal feed sold in Maryland, and MHC and other organizations requested–and received–amendments clarifying that said fee be attached only to dog and cat food). If passed, the only impact this bill would have on Maryland foxchasers is to increase the cost of hound feed, if a pack is fed commercially processed feed. The Maryland Horse Industry Board is funded by a similar fee (15¢) attached to every bag of commercially processed feed sold in Maryland; the fee is refundable to horse owners who submit receipts to MHIB. The circulated email alleges that these bills are a done deal and are on their way to the Governor. This is incorrect. Each bill has passed out of its respective chamber and has crossed over to the other chamber, but as of today, neither bill has cleared both chambers. At least one of the bills must clear both chambers before heading to the Governor. The circulated email also alleges that the fund would “subsidize low-income residents who want to sterilize their pets.” Whereas earlier versions of the bills included language that would have established a voucher program for low-income residents, that is not the language in the bills that have passed out of their respective chambers. The amended bills direct that the funds be used for grants to county and other local governments and for animal shelters that are effectively already providing spay/neuter programs for cats and dogs; to receive the fundings, the programs will be required to submit grant proposals as well as provide hard data on the numbers of animals they are servicing. The fund would be administered by a board consisting of representatives from the following segments of the community: one rep from a private animal shelter; one vet; one representative from a local animal control; one representative of the pet food industry, and two representatives from animal welfare advocacy organizations. From The Equiery‘s perspective, we would rather see the board limited to those who work hands-on with animals (be they representatives from shelters actually taking in unwanted, abandoned and seized animals, more animal control representatives, more vets) and would suspect that is not necessary to have not one but two representatives from “animal welfare advocacy organizations,” which are not necessarily either hands-on with animals nor doing anything charitably to support the work of those working hands-on, but could be merely lobbying groups for animal rights causes. We think this could be dialed back or eliminated, and we think the number of vets could be increased. But that is not the horse industry’s battle to fight, with our limited resources. That would be something for which the Maryland Veterinary Medical Association, or other hands-on entities with small animal groups would have to lobby. The Equiery does not think that Maryland foxchasers really want to oppose efforts to help those boots-on-the-ground organizations that provide shelter for unwanted or seized dogs, and spay or neuter them before adopting them back out. Maryland horse people are generally also small animal owners, and as such, should be aware of this effort. 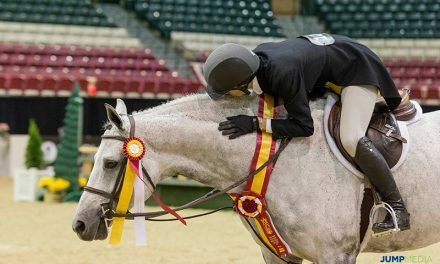 If, as a small animal owner, Maryland horse people wish to lobby the House or the Senate for some modifications to this bill – or to outright oppose this bill, by all means, they should contact their elected officials (click here to find out who they are). We would also urge the MVMA to take a close look at this bill, if it has not already done so, and make sure the MVMA is supportive of it. But we would urge our readers to read the legislation first and familiarize yourself with the language before you take any action. Nothing undermines the credibility of a citizen lobbying an elected official if the citizen has his or her facts wrong about the legislation in question. 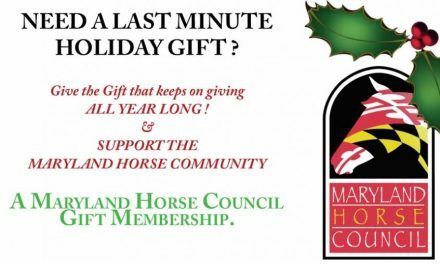 Great Gift Idea from MHC!